Sky High Slots Review - 5 Spins upon Registration! Place a Bet Online bring you Sky High Slots, a site launched in 2016 which offers a beautiful mono chrome art deco theme; reminiscent of The Great Gatsby. This incredible site is much more than a touch of class, because you can access a huge range of table casino, jackpots and video slots. So if you prefer old favourites such as Starburst, or something a little more recent like Jimi Hendrix; then Sky High Slots will have you covered. Great gaming should be available whenever we want it, which is why Sky High Slots is available on both desktop, mobile and tablet devices. •	£10 bonus cash for each friend you refer. The excitement begins when you register on Sky High Slots, as you can enjoy a very generous deposit package. This is a little welcome from the site and provides you with the opportunity to try their gameswith a little extra credit. 3rd deposit, 50% cash match bonus between £10 and £100 using code 3. 100% Bonus Terms: New players only. Min deposit £10. 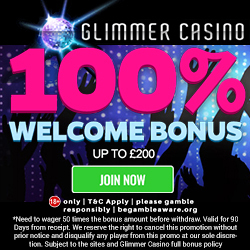 100% up to £200 bonus on first deposit of £10-£200. 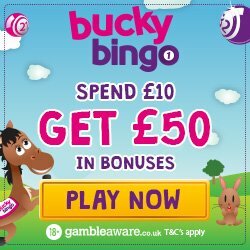 50% up to £500 bonus on first deposit of £400 or more. Wagering 30x Bonus & 30x Deposit. Wagering requirements vary by game. Bonus wins & withdrawal restrictions apply. Full T&Cs apply. 50% Bonus Terms: Offer Valid until 23:59 25/03/20. Min dep. £10. Max bonus £100. Use code 2 or 3. Valid on 2nd & 3rd deposits only. Withdrawal restrictions apply: wagering 30x Bonus & 30x Deposit. Wagering requirements vary by game. Full T&Cs apply. Wednesday can be a pretty tough day in work, especially because you know you’re only half way through the week. Sky High Slots are here to make it better with their Triple Chip Wednesday bonus. When you play games on a Wednesday, you’ll collect 3 chips for every £1 wagered (instead of the usual 1 chip). Join Sky High Slots on a Thursday and quote code HIGH, for a 100% cash match bonus. This is on amounts between £10 and £50, so you could end up with £100 to game with. 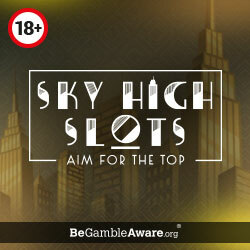 The Sky High VIP Club was introduced by Sky High Slots as a way of thanking their players. There are 5 levels to the scheme which include New Star, Rising Star, 3 Star, 4 Star and 5 Star, each offering bigger and better bonuses. You move through the levels by collecting chips as you wager, with £1 equating to 1 chip. Some of the rewards available include real cash, bonus cash, extra spins and gadgets. With so much on offer, we’re sure you’ve already decided to tell your gaming friends about Sky High Slots. 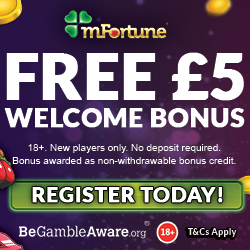 So make sure you take advantage of the refer a friend bonus, because if they register and make a deposit, then you could receive £10 in bonus cash to game with (terms and conditions apply). Representatives are available via telephone or email, but there’s also an FAQ section with the answers to popular gaming questions. They accept the usual banking methods including Credit and Debit Cards, Paysafe Card, Paypal and Entropay. If you’re ready to try and reach the dizzying heights of a jackpot win, then head over to Sky High Slots.